Knowing the latest coin values will help you make sound buying decisions, inform you on what you should get if you’re selling your coins or bullion, and satisfy your curiosity on what your collection or portfolio may be worth. Our site is written by experienced individuals who are passionate about their areas of expertise in numismatics and the bullion industry. At Coin Values, we cover everything from prices for rare United States coins and bullion coins, to the latest news on coin collecting and bullion investing. What you’ll find here will educate and inform, and even entertain. Our paramount goal is to answer the questions you have and provide you with material that helps you to enjoy what you do and make the most of your numismatic or bullion investing pursuits. What Will You Find At Coin Values? 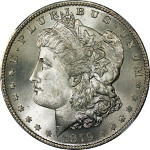 Our team is constantly adding new information on U.S. coin series dating back to 1793, researching the latest trends in the numismatic and bullion markets, and creating avenues for collectors, investors, clubs, and dealers to connect with each other. However, Coin Values is more than a place to check out what your coins are worth – it’s the hub for coin collectors and investors who want to stay in the know. We’re dedicated to providing you with something fresh to enjoy each time you come back, because we want Coin Values to be the place where you’ll find new and exciting insight on the coins you know and love. You will get the scoop on Morgan and Peace dollars, American gold and silver eagles, Lincoln wheat cents, pre-1934 U.S. gold coins, and virtually every other coin series made by the United States Mint. This site may be the place to go for the latest coin values – but there’s so much more here to check out than book values for coins. We are constantly providing updates on the top eBay going prices for the most popular U.S. coins, sharing news on the latest coin buzz, and we are always building our library of coin resources. This is also the place to go for learning more about numismatic 101 and bullion 101. For example, find out what a troy ounce is, who’s on the dime, and what the VDB means on Lincoln cents – and that’s just the tip of the iceberg.